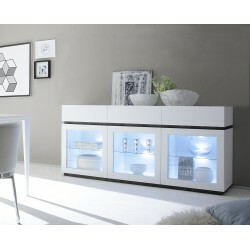 Livia is an Italian designed furniture set that is guaranteed to satisfy all those who are craving for a creative, modern approach to their furniture. Complete with an elegant matt finish either white or grey. 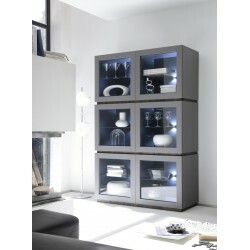 This furniture set includes all the necessary furniture for your living room or your dining room. For example, it consists of display cabinets with drawers for some extra storage, sideboards, highboards and of course TV units that will make your living room tidy and well-organized. 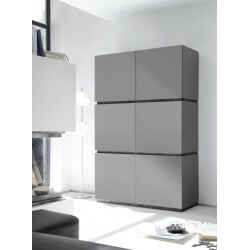 As for all of our furniture sets, Livia is not only a unique designed furniture set but a customized set as well, it offers you the chance to build your own unit by choosing from a variety of size and design options. 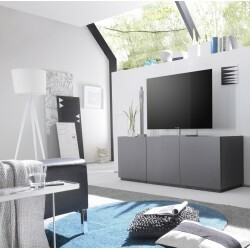 Like all of our furniture sets, Livia set as well includes all of the essential furniture for your living room. In addition, on the top of their functionality, due to their materials, we guarantee you about their durability. Display cabinets since the 20th century are becoming more and more famous in the British houses, although they were existing a long time ago. 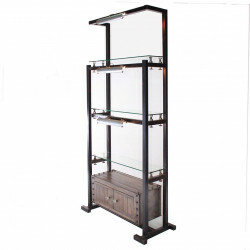 Display cabinets are demonstrating in the most premium way your decorations or even your living room essentials. As you can see at Livia’s set we made more functional and modern than ever. 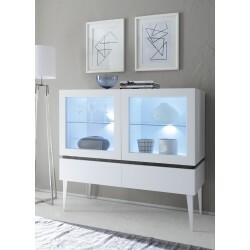 Their grey or white lacquer finish will fit into any modern lounge or dining room. At the same time, except the large vitrine for your silverware, they include drawers for additional storage! For instance, have a look at Livia III. 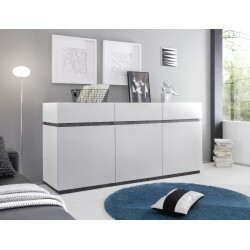 At Sena Home Furniture, we firmly believe that sideboards and highboards are the best way to increase the storing space of your living room or your dining room. Due to their versatility, they can easily fit in every interior, and due to their variety of sizes and shapes, they can easily be placed in every house. In addition, you can use them as complement furniture for your wardrobe or even as decorative furniture in your living room. Moreover, Livia’s cabinets are made with an all over grey or white matt lacquer finish that will make your room look more modern than ever! 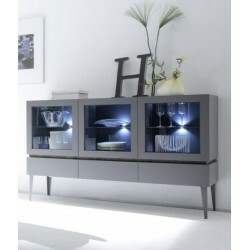 If you are interested in such pieces of furniture you can take a look at Livia II or at Livia. 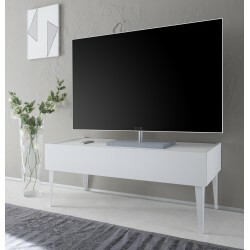 Tv units can be easily called the heart of the living room. The main reason for that is the fact that we all gather with our friends and family in front of the television to watch our favourite show or to play video games. 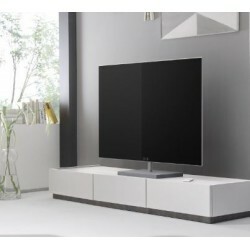 Having said that, if you enjoy that kind of entertainment then you should find a modern TV stand that will not just be a place to put your telly on but it will be the place that will give you the ability to store in a tidy way all of your entertainment equipment. At Sena Home Furniture, as we know that we created practical entertainment units that without occupying a lot of flooring space they can still store your gaming essentials! Moreover, as we wanted to make them fit with your modern lounge we made them with matt lacquer finish. 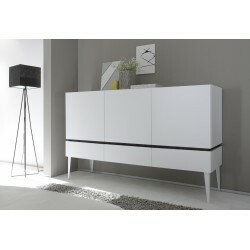 If you are interested in such a piece of furniture we assure you that you will like our Livia II.